Stainless Steel Motorcycle Luggage Rack for Triumph T90/T100/T120 1964-1966 Motorcycles. 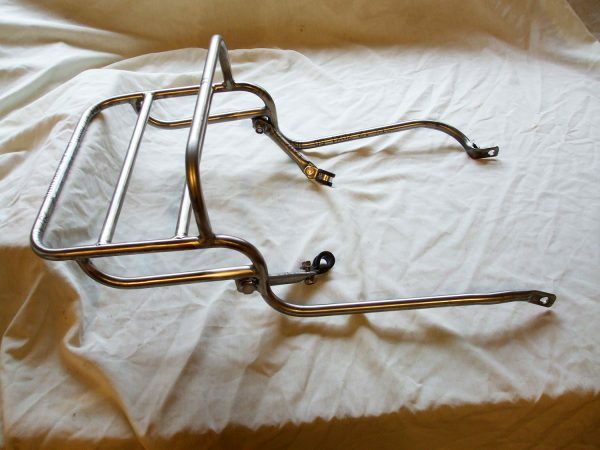 Stainless Steel Motorcycle Luggage Rack. 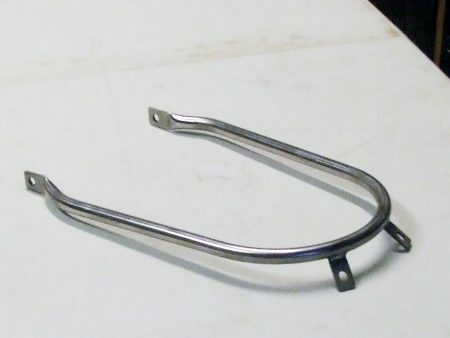 Fits Triumph T90/T100/T120 1964-1966 Motorcycles. Top quality 304 grade stainless steel. 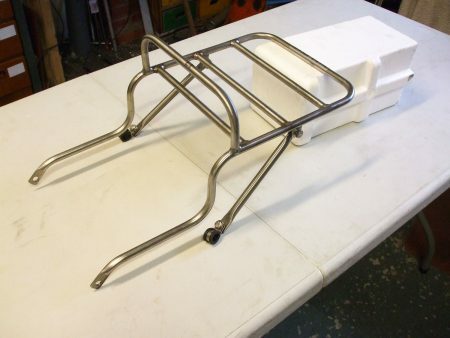 Made to fit to existing holes with no drilling or welding required. 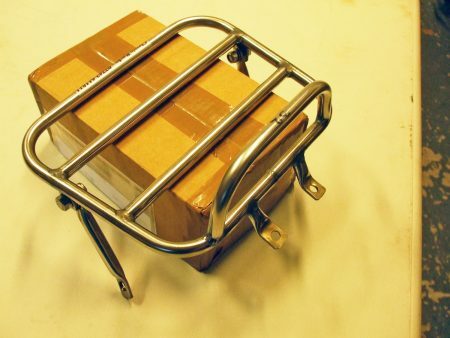 Refer to our FAQs page for guidance on how to measure for and install our luggage racks and grab rails to your motorcycle. 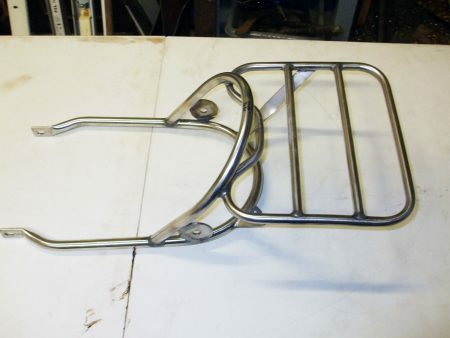 Classic Bike Racks manufacture and sell stainless steel luggage racks for a range of classic motorcycles and scooters.